Will: That’s a great question. From all the permaculturalists I’ve known, there’s never one answer, which is actually kind of the principle of permaculture, which is that the patterns spread. The best I can summarize and distill is that, it’s a system of designed science that utilizes the patterns of nature. So we work within nature’s patterns, as opposed to against hers, to enable maximum output for minimum input. And what that means is, instead of overworking and getting in the way, we do the design so that we strategize to allow nature to do what she does, and we get to work with here and help her, and it helps us. Taking nature into account, nature’s forces in your design and planning. Will: And when doing so, that creates something that’s not a short-term, forceful kind of immediate result, that doesn’t have enough momentum to continue to grow and regenerate. With a permaculture design, you’re maximizing the power of nature to work with you in a manner that you get results that are regenerative. They keep growing, they keep going, and they’re sustainable. Will: It’s always a work in progress. I think it’s an art form, so you do your best, and you learn, and you make mistakes, and you grow. One of the ways is to build strategies that work with the current of how things work and – you’re talking about a plan – it’s to implement more of a roadmap. So you assess the environment, you assess where you’re at, and you know where you’re wanting to go, and also create systems that, if you need to change directions or adapt, you’ve got processes that can fulfill those needs in a manner without breaking down, and you can continue on the journey. One of my philosophies is, it’s about the journey, not the destination. … and building different strategies to harmonize with the environment that’s constantly changing. Change is really the only constant, so if you build a model that can work with the way things are, and predict to the best of your ability the way things will be, but do so in a manner that if things do change, you can adapt and be successful that way as well, it’s super important to have diversity for that. If one thing goes down, there’s something else that can take its place. It really embodies pretty much every aspect of our business, ranging from utilizing systems so that we can adapt in the current environment as well as future environments, by building models that are in harmony with the existing systems or currents of life. You know the only constant in life is change, so being able to be in harmony and work synergistically with what’s existing, as opposed to trying to fight it and work against it is one of the ways. So for example, we source Fair Trade, and push to develop Fair Trade for ingredients that aren’t available that way. For our ingredients, what Fair Trade is, is to be able to have a regenerative income for the people producing it, so that they’re not producing something that they’re not compensated for. Effectively, it’s giving them a living fair wage, and that generates a ripple of regeneration on multiple levels. So if you have an imbalance in a system, such as someone not getting paid fairly, you’re not going to have a system that lasts a long time. People aren’t going to be – that’s not regenerative. So that’s one of the elements in using Fair Trade ingredients. Will: Well, yeah. Sustainable – there’s many layers, and this is where it can be confusing. It can be called sustainable as a label, but if they’re not – sometimes people say that if they say they’re not using pesticides or herbicides, which is very important, because those impact the ecosystems and our own health as well as the plants and the bees and the pollinators and everything, but if the people who are producing it, and are part of the ecosystem, aren’t being treated fairly, it could still be labeled sustainable, when in reality that’s really not a sustainable system. So that’s another component of our philosophy; ‘everyone has to win, or we don’t play’. That’s because we view everything as interconnected, and as part of a greater whole, so if one part’s not being treated properly, that’s not a regenerative system. It’s not sustainable, it’s not strong – we always demand Fair Trade, and if we’re working to expand in areas where there’s not necessarily certified Fair Trade, get it certified so that it is Fair Trade. That’s one of the ways we implement permaculture philosophy in our business. Other ways are to always be looking for patterns so that we can help people, and if there’s needs, we can emerge to meet those needs in a manner that is current with the flow of life, which is really another principle of permaculture; to observe and interact with the environment at hand, and you can see a lot of businesses that are not listening to their customers, or the demands of the market, and they don’t last. We’re really here to be a catalyst and force of good that can grow and adapt, and continue to be a better service for all of life, not just one aspect of it. Will: It’s been epic. Feel’s awesome. It’s definitely not been the easiest path, and that’s something that we as a benefit corporation designed to deal with and to work with. It’s much cheaper to go and get a petroleum based ink or cut corners on the environment, however, we feel it’s our culture, and vital, to not do harm, and to be a full catalyst of good. So it’s our philosophy that adds an externality that we’re happy to internalize, because it brings forth a greater fruit of feeling good. People feel good when they get it, we feel good when we produce it, and it’s been nothing but rewarding. Not without its challenges, but every bit of it’s worth the extra sweat. Will: Yeah. So the Super CBD, which is our first product to market, it’s got – a lot of the CBD which is grown, the hemp is grown organically. Not certified, but that’s coming soon. There’s moringa, which is also known as the miracle tree, and it’s one of my favorite plants up with hemp, and it’s one of the most nutritionally dense superfoods on the planet, that grows in a lot of different ecosystems. It’s got a plethora of benefits and uses. The leaves which we put in it, have very high concentrations of vitamin A, vitamin K, full protein, tons of bioavailable minerals, and a plethora of other health benefits. From that tree also, the nuts and seeds will purify water, which is incredible, and it grows in a diversity of soils, and is one of the plants, I consider, that are going to transform and upgrade the planet. Then we also do acerola cherry, which is certified organic. The moringa is certified organic and Fair Trade – not certified Fair Trade, but it’s grown Fair Trade – and the acerola cherry is certified organic, certified Fair Trade from Brazil. It’s a superfood, it’s one of the most nutrient-packed fruits with one of the highest concentrations of vitamin C on the planet. Not as much as camu camu, but it’s got its own unique benefits, and when combined with the CBD and the bioavailable minerals, and the vitamin C, they all synergize together holistically, to kind of provide a full nourishment of energy and sustenance for the body. With the endocannabinoid system getting fuel in the tank from with the CBD in it – you’ve got CB2 receptors in your digestive tract – so that enables a higher uptake of stimulation of nutrients, and the other nutrients help with the stimulation of the CBD. So you can just create this awesome, positive cycle of health, which is really wealth in the body, which is definitely a permaculture design system principle – to create systems that feed off of each other and benefit each other, and support diversity of action and benefits that all play different roles, but together, play a better role. So that’s how we formulated that, so it just provides the most nutrient-dense, nourishing health-tonic we could generate. All of those are regenerative sources. The Quillaja we use is wild-crafted in a regenerative manner. Wild-crafted means you’re not going out and cutting down the whole plant or you’re growing it. It’s actually certified organic, so it’s kind of wild-crafted – it’s a zone that’s growing wild, but then they simultaneously got it certified as organic. So it’s a hybrid of wild-crafted organic, and what that means is, you ethically harvest it. You harvest parts of the plant that are naturally growing wild, in a manner that it can continue to propagate and regenerate without damaging the ecosystem. And the glycerin that we use is certified organic coconut glycerin, that’s not certified biodynamic, but biodynamically grown. Biodynamics falls in the permaculture umbrella, but it’s a very particular method of harvesting in terms of planting in seasons and harvesting – in particular, seasons and full moon cycles – it’s incredible science, and we’ll get into it at another time. We chose coconut glycerin, because glycerin’s got a really unique property in that it kind of retains the data or the energy light of photons. Photons contain data – that’s how we send information through lasers – and so when you have a glycerin, it’s got a unique property, on an energetic level, of retaining data. Even through when you get to a glycerin point of a product, there’s really no constitutes that differentiate it from a corn glycerin versus a soy glycerin or a coconut glycerin, most of the corn and soy is genetically modified, and it’s not really grown in a regenerative manner, so it retains that kind of feeling or energy, whereas the coconut is grown regeneratively, and it’s one hundred percent not GMO and not destructive for the ecosystem. Will: With pesticides and herbicides, there’s really shouldn’t be an issue with the hemp, but we test it for the whole product, just to give an extra layer of reassurance and transparency for all the ingredients in there. The cool thing about hemp is, it’s such a resilient plant. It typically doesn’t need pesticides or herbicides to grow, but it could be grown next to another crop where they are spraying, and so there could be crossover when people are sourcing it in a manner that’s not really grown organically. A big issue is the heavy metal potential in products, and that’s because cannabis is an excellent bioaccumulator. 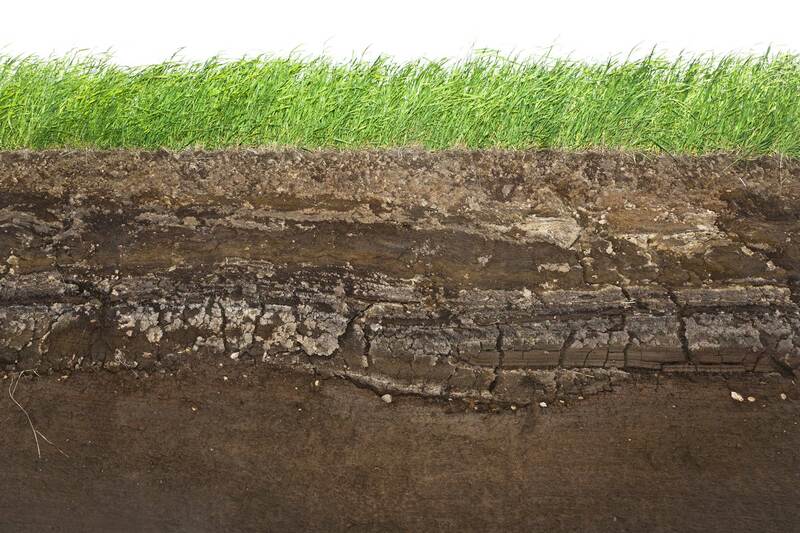 What that means is, it will uptake heavy metals as well as nutrients from the soil, and pull it up and retain it. So it’s excellent for high remediating – which means cleaning up the soils which are dirty or contaminated – however, when you do that, you do not want to then turn that into a substance that you would take internally. You would want to dispose of it carefully, or potentially inoculate it with mushrooms, such as oyster mushrooms, that can kind of break them down and make them into less dangerous compound forms. So a lot of hemp is grown in China, and unfortunately, the soil is very much contaminated with heavy metals, and so what happens is, if people are using the stalk and stem as the byproduct of industry, and getting that and then extracting the oil from the stalk or stem – from Chinese hemp, or any hemp grown in a contaminated soil – you’re going to end up with high heavy metals in your end product, which is not what you want when you’re going for health. So we specifically source from soils that are grown organically, specifically for getting the oil from the stalks and the stems, and then always provide third party testing for the entire product, so that people can see exactly what they’re putting in their bodies every time. One issue is mold. If people aren’t handling it properly or doing GMP compliant practices – GMP stands for ‘good manufacturing practices’ – they’re not drying it properly or processing it in a proper manner, you get a high mold count, which is not what you want in your body when you’re taking a supplement for health. So we always ensure that things are done in GMP compliant manners with the highest integrity and science, so that you’re getting the top of the top quality you could ever find, that’s always consistent and pure. 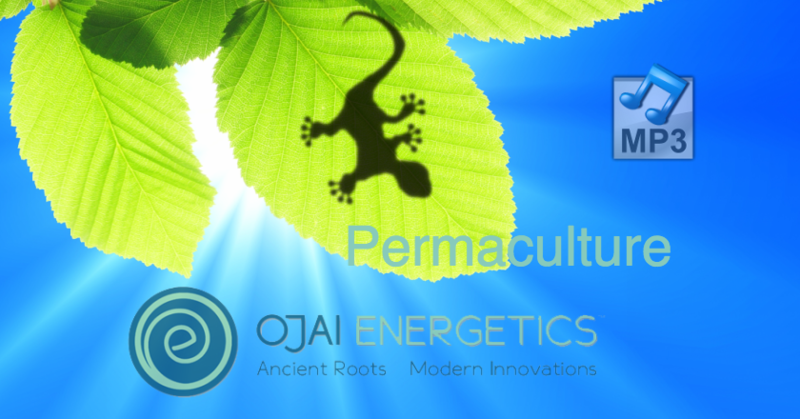 Other kind of permaculture products or projects within the company, now and for the future. Part of our model of being a benefit corporation is to always give back, and our charter is to holistically benefit all the inhabitants on earth, and earth itself, through all of our products’ ventures, partnerships; etcetera. So we’re always looking for ways that we can continue to expand and be a greater force of good on the planet, and keep regeneration so we can have a healthier planet every day, and one that our future generations can thrive in, and on. We are going to be getting our own hemp farms operating in the future, and part of that will be implementing polyculture systems as opposed to mono-culture, which means many types of plants and life forms growing throughout the rows, as opposed to a single type of plant, which is not really sustainable, nor healthy for the soil, because if you’re using one type of plant, it’s going to be uptaking one set of nutrients, and if you do it again and again, you’re going to deplete the soil of those nutrients. If you do a polyculture system and, you rotate where you’re planting and how you’re planting, you can create an abundant supply of different nutrients, and allow the soil to re-nourish and regrow. Another thing which is really awesome is that, the ‘waste product’ – one of the permaculture principles is refuse, reduce, reuse, recycle – so if you don’t need it, don’t get it, if you can reduce your impact, reduce it, instead of throwing it away, if you have something, how can you reuse it, and then if you’ve used it, how can you keep that circulating through recycling it. So when we’re done with the stalks and the stems, the ‘waste product’ is actually an incredibly utilizable substance that can be used as kitty litter, it’s naturally anti-microbial, anti-fungal and antiseptic. It can also be turned into hempcrete, which is one of the most incredible opportunities that’s going to be spreading everywhere on the planet, and it’s a way to make a concrete replacement, using just the hemp stock and stems mixed with lime, where you get a fireproof, waterproof, bulletproof, anti-fungal, air cleaning building material, that is the ‘waste product’ of our hemp oil products. That’s simultaneously sequestering CO2, so it becomes carbon neutral, but beyond carbon neutral, a carbon negative building, which is really incredible. So that’s just one of the ways we would be implementing permaculture systems with our products and company, and really, as we learn as grow, it’s almost limitless. It’s so exciting. What is really critical is maintaining balance, as opposed to constant growth for the bottom line. We need social and environmental growth, which could be not necessarily physically growing, but growing in strength, resiliency, abundance for humanity and all life forms, etcetera, through access and availability. That is one of the most inspiring parts of when I get up in the morning – is thinking about how we can be a part of that, and help that unfold on the planet. Will: There’s tons of amazing sources on YouTube and online. I highly recommend David Holmgren’s teaching – he’s one of the co-founders of permaculture. Really, permaculture is an art, is a word for many syntheses of indigenous knowledge kind of consolidated together, so everyone, in my opinion, really is a permaculturalist. It’s common sense in how we do things, that we make it easier for everyone and better for everyone. So just going outside and looking and observing nature is a great resource, as well as diving deeper. Any certified PDC – that stands for permaculture design course – I recommend everyone do. It was one of the most life-changing weeks of my life, and you can just google permaculture design courses, and I’m sure you’ll find one near your bioregion, and the journey is really endless. It’s a concept and art in progress, of how we can better serve each other, and the rest of life, and the planet itself. I liken it to – the model led us to where we’re at, I see it as part of the evolutionary cycle or part of nature’s plan, or the grand plan, however you want to look at it – and it served a purpose of generating and accumulating a huge amount of infrastructure. We’re talking satellites, and satellites are now helping people realize that anywhere on the globe, we all want to live well and have shelter and family and connection, and it’s now enabling kids to see that halfway across the planet, no matter what culture they come from, or what we’ve been told, that kid wants to skateboard too, and it’s just another unique and simultaneously very similar version – another version of you, and I think that it’s a mystery, and a miraculous unfolding, how this very non-sustainable culture has led us to this concrete interconnectedness, that is now a bridge that can be broken down and shifted. Like you said, the current model of just exponential growth for growth’s sake, which is also known as cancer, can how lead to a point of – and also, the cells that we consider cancer cells, are the same exact cells we were nine months in the womb. They’re cells that just grow. So they’re not innately bad, there’s just a point as which it no longer serves. So we’re at the beautiful turning point in humanity of awakening to the fact that we’re all interconnected, and we’re all part of this together, and we can now work together in harmony, in a manner that is enriching and sustaining, as opposed to parasitic. I believe we are emerging as a symbiotic force of working together now, and it’s possible that we couldn’t have gotten here, without first starting as a parasitic force. My optimistic spin on it. It’s like – a butterfly started out as one of the ecosystem’s worst parasites. The caterpillar provides absolutely nothing to the ecosystem, and eats ways more that its weight in terms of biomass, and actually in many cases, will eat to the point where it nearly collapses the keystone species – and keystone species is like the integral building block for the rest of the ecosystems, and if that goes, everything goes. It nearly takes it out, and right when it nearly takes it out, there’s this brilliant impetus or urge that it’s not even aware of, but it breaks down and stops, and things seem like they’re falling apart. Its body turns to mush, in this cocoon, and then emerges after a critical mass – just like I believe we’ve reached on the planet. There’s a new paradigm, a new way of doing things, things like care about the environment, care about the people, and want to promote health as opposed to take health. These cells emerge, and re-code the entire caterpillar – not initially without a fight – but eventually it emerges victorious, and it only needs thirteen percent. It doesn’t need fifty percent before it tips the scales, it’s just enough to tip it, and then it re-codes and emerges as one of the world’s best symbiotic forces and pollinators that builds multiple ecosystems. And the butterfly couldn’t have happened and built all these new ecosystems, had it not have started out as a parasite, and as it was parasiting, what it was doing was storing all of this energy, so that it could do this miraculous transformation, and actually end up helping entire ecosystems as a whole. So if we look at this opportunity on the planet, we can be that change we wish to see, and we’re doing it. We’re walking our walk, and it ripples out, and more and more people are saying, ‘You know, I don’t want to be putting stuff that’s destroying the bees and destroying the ecosystem, and hurting my body, and hurting my kids and grandkids’ chance of living a healthy life’, and everywhere you look now, you’ll see it’s spreading at an exponential rate. And so we can now use these amazing resources that we have, that have come here, not without suffering and destruction, and now use this opportunity to transmute that and transform it into something beautiful that gives back – like you said – at least a hundredfold of the energy it took to get here.